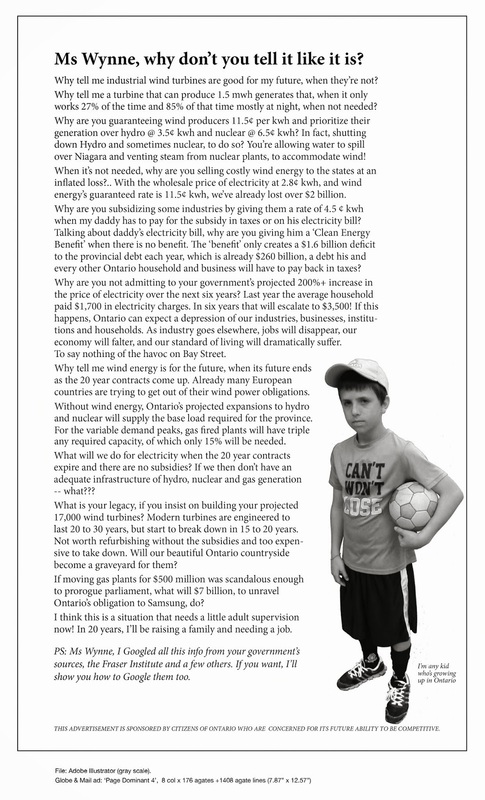 Stephen Ambrose to Canadian Council: Wind Turbine Noise is a Real Health Effect | Mothers Against Wind Turbines Inc. This question was posed by the Council of Canadian Academies (CAA):Is there evidence to support a causal association between exposure to wind turbine noise and the development of adverse health effects? The answer given was that only personal attitude and annoyance resulted for those in direct proximity to wind turbines. However, real people and real studies have been ignored to reach this conclusion. The CCA supports the status quo for wind turbines by failing to recognize that wind turbines operating in quiet rural communities produce the most significant adverse health effects. This study should not have been hobbled by competing government responsibilities: wind-turbine development incentives, site permitting, and protecting public health. Academic participation does not foster credibility when commissioned to perform consensus building. Wind-turbine health research is critical, which requires health professionals to make contributions to original research as witnesses. There are many adversely affected communities where they could live as wind turbine neighbors. Two acousticians concerned about why there were so many neighbors’ complaints, went to Falmouth, Massachusetts, to investigate wind turbine noise levels during strong winds. They were invited by strangers already adversely impacted to use their home—a custom, well-built, insulated house, about 1700-ft from an operating 1.65 MW turbine. (Wind turbine acoustic investigation: Infrasound and low frequency noise—A case study). These owners experienced significant health problems forcing the abandonment of their “dream” house.